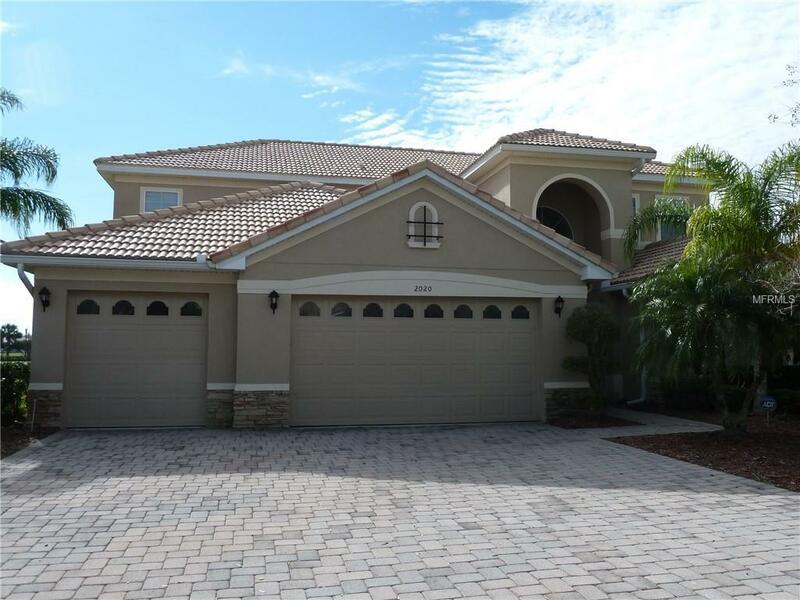 Beautiful 4 Bedroom, 3 Â½ Bath, 3 Car Garage, 2 story house, in the gated community of Bellalago. Venezia Model with screened lanai offering gorgeous lake view. Spacious kitchen with granite counter top, stainless steel appliances with double oven and a walk-in pantry. Ceramic tiles on the first-floor main living area. Master Bedroom floor is tasteful laminated, and has a walk-in closet with professional organizer system built-in. The Master Bath has his and hers vanities, and a jetted tub. All other bedrooms are carpeted. Second floor features a laminated floor Bonus Room, spacious enough for all kinds of family activities. Donât miss out on this wonderful opportunity in owning a spectacular waterfront property. It's a wonderful thing to be able to invite your family and friends to a party in the covered lanai of your own home, or, enjoy the resort style multi-million dollar club house of Bellalago. Courtesy of Tam Realty Services, Inc.